Founded by Cora Caparelli, the Schwartzman Festival is led by violinist Dr. Fredi Gerling, Artistic leader and Festival Conductor. This Festival draws approximately 300 students and teachers (pre-college and university) from throughout Brazil with many returning year after year. It was a wonderful week of music making and new friendships. 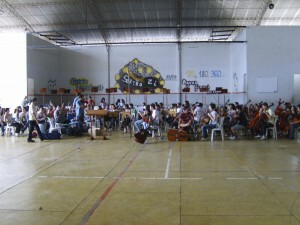 Days included numerous sessions of lessons, lectures, and rehearsals. 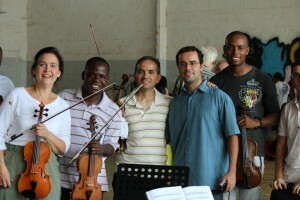 These rehearsals took place at the Uberlandia Music Conservatory. Tropical climate means all windows and doors are open as temperatures are quite warm and with no air-conditioning….a wonderful change from cooler Milwaukee! Evenings were filled with Festival faculty or student concerts presented at several beautiful churches and a chamber music theatre. In masterclasses, I had the opportunity to work with some wonderful pre-college students and also presented lecture/demonstrations on such topics as: shifting, vibrato, setting up solid technical foundations, String Academy teaching and philosophies, and UWM’s Master of Music in String Pedagogy degree program (where SAW is used as the lab setting). 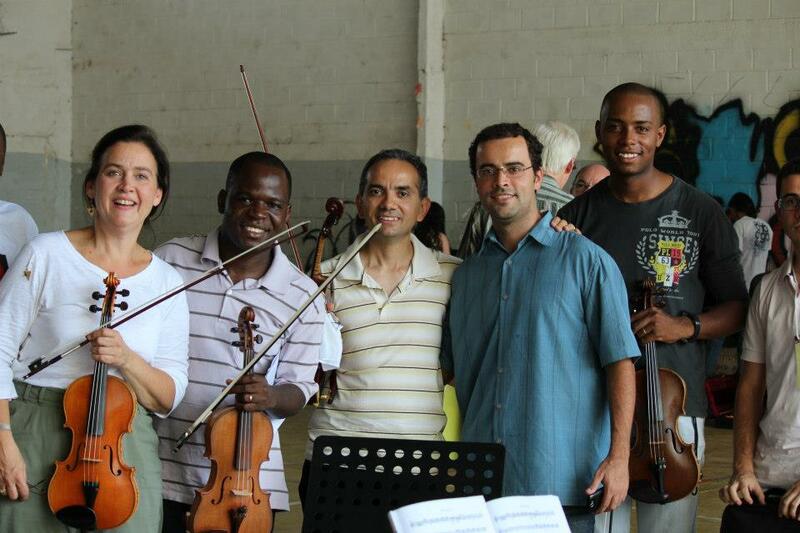 I also served as Assistant Concertmaster of the Festival Orchestra . 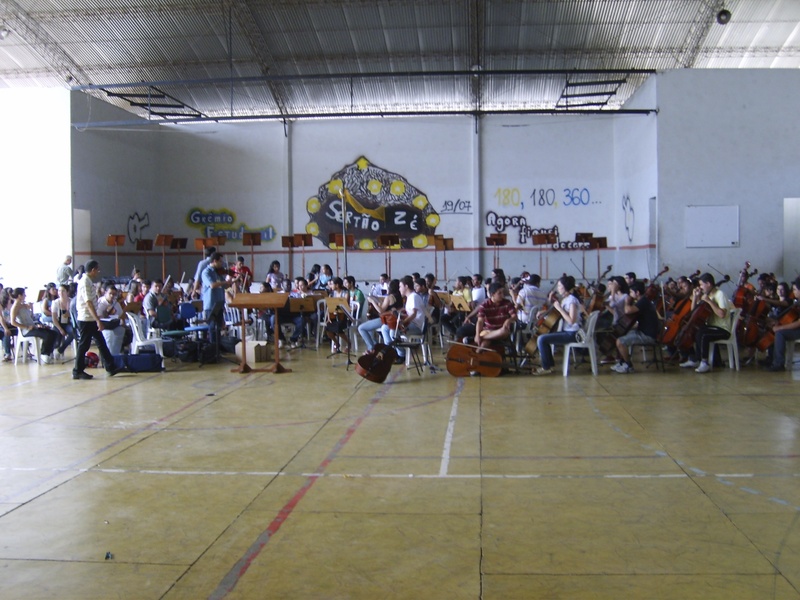 The Finale concert, with music by all Brazilian composers, took place at the Uberlandia Convention Center, which is situated in the very modern and largest Uberlandia shopping mall. All Festival participants performed to a packed audience. What an exciting time and the concert, enjoyed by all, was a big success! My next stop brought me to Porto Alegre, in Brazil’s southern region. Invited by Dr. Gerling, I gave lectures and masterclasses to undergraduate and graduate students at the Federal University of Rio Grande do Sul. 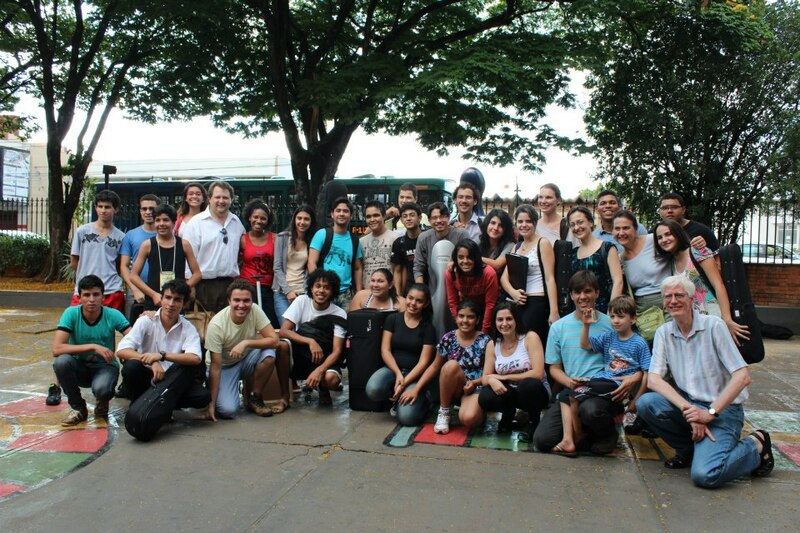 I also worked with students ages 6-14 (beginner to advanced repertoire) from Porto Alegre and the surrounding area. It was great to hear fine performances and meet such engaging students. Lecture topics included different string methods and approaches used in the U.S., teaching techniques and philosophies of the String Academy, and the UWM’s unique Master of Music in String Pedagogy degree program. It was a wonderful 11 days of meeting new friends and colleagues, working with students and teachers, and experiencing Brazilian culture and music. Although the schedule was busy, time was available one morning to visit one of Uberlandia’s most beautiful lakes. It was fun to walk the lake’s perimeter with new found friends finishing with a visit to a coconut stand for refreshment. In Porto Alegre, the city is filled with beautiful architecture and streets. The fauna and flora seen during this trip was beautiful and I especially fell in love with a Springtime light purple flowering tree. 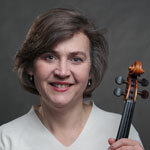 Ms. Drexler is Executive Director and on the violin of the String Academy besides teaching string pedagogy at UW-Milwaukee. Her degrees include a Bachelors in Violin from Southern Methodist University and the M.M. from the University of Illinois. She has performed recitals throughout the US and is an active chamber musician and clinician. Her students are performing and teaching across the US. Previously she was a member of the Dallas Chamber Orchestra, Sinfonia da Camera, Hawthorne Quartet, the Killington (VT) Music Festival. She has taught at the Indiana University Summer String Academy, the Wisconsin Conservatory of Music and the Illinois Wesleyan University Suzuki Program.